This essay makes a theoretical argument for reimagining ‘the rule of law’ in light of ‘legal pluralism’. Building on the work of Desmond Manderson and Roderick Macdonald, the essay considers what it means for law’s pluralism—the differences that animate the everyday life of law—to be the very pulse of its rule. In doing so, the essay seeks to open the frame that has been placed around the rule of law in two ways. On one side: to see beyond the law that is made intelligible through institutionalised modes of expression to the law that is made sensible through the richly expressive media of human culture (opening the frame around the ‘law’ that is seen to rule). And on the other side: to see beyond law as a mode of governance to law in the everyday lives of subjects (opening the frame around how this law is seen to ‘rule’). The result is a reimagination of the rule of law as a broadly socio-cultural phenomenon rather than a narrowly legal-institutional arrangement, requiring new research to flesh out the revised concept. The essay is informed by the author’s experience researching the rule of law and legal pluralism in Liberia, with Theodor Adorno as philosophical guide. It proceeds in two steps, beginning with the problem of law’s pluralism, before turning to the problem of law’s rule. With thanks to Jeremy Farrall, Desmond Manderson, Shaun McVeigh, Alain Pottage, Peter Rush, Veronica Taylor, and Valeria Vázquez Guevara for engaging with this paper at various points in its development. 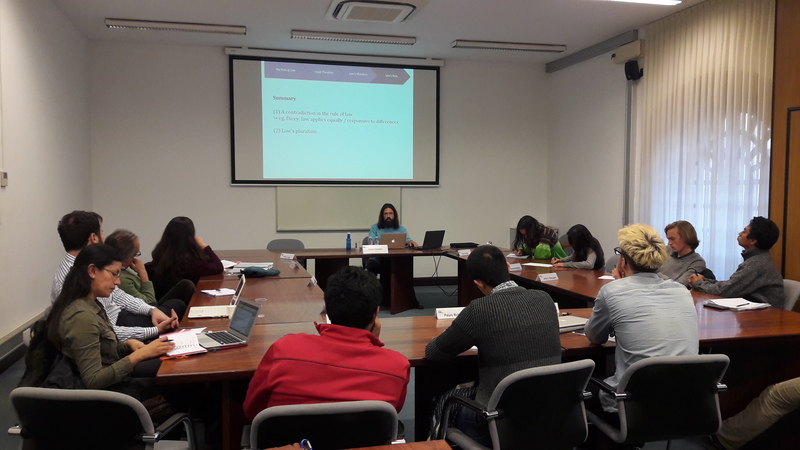 A first draft was completed while a doctoral scholar in the School of Regulation and Global Governance (RegNet) at the Australian National University; this draft was completed with the support of an Australian Endeavour Research Fellowship while hosted by the Oñati International Institute for the Sociology of Law.